In 1904, aged 68, Joseph Rowntree endowed the Joseph Rowntree Foundation, the Joseph Rowntree Charitable Trust and the Joseph Rowntree Reform Trust, giving “about one-half of my property to [their] establishment.” He believed the way to remedy the injustices of the world was not to relieve their ill-effects, but to strike at their roots. This would be the trusts’ work. Joseph Rowntree was born in 1836 into a Quaker family in York. A grocer’s son, he left the family business to run a small and struggling cocoa factory with his brother, Henry Isaac. Just as they had begun to turn the business round, Henry Isaac died. So Joseph carried on as sole proprietor, until, in time, he was joined by his sons and nephews. From its early days with just twelve men, the factory grew fast and by 1906 it employed over 4,000 workers. Joseph was always determined to produce top quality cocoa, chocolate and confectionery. He was equally determined to ensure that fair wages were paid and a high level of welfare achieved for the workforce. A lifelong Quaker, Joseph seldom spoke about his religious beliefs, but they informed his home life, his commitment to social reform and his business practice. Joseph was an active philanthropist. He worked to improve adult literacy, and to safeguard democracy and political fair play. Acutely aware of the social conditions many of his factory workers lived in, he was keen to improve the quality of life for all through the provision of affordable, decent housing, recreational facilities and opportunities for self-improvement. Joseph died in 1925, aged 89, and the City of York turned out to mourn one of their great citizens. He was buried in the Quaker graveyard beneath a simple Quaker gravestone on which you can read just his name and his date. No more and no less. 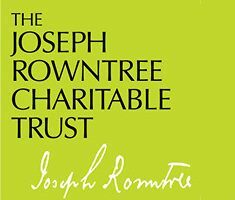 For more information about Joseph Rowntree, see www.rowntreesociety.org.uk.